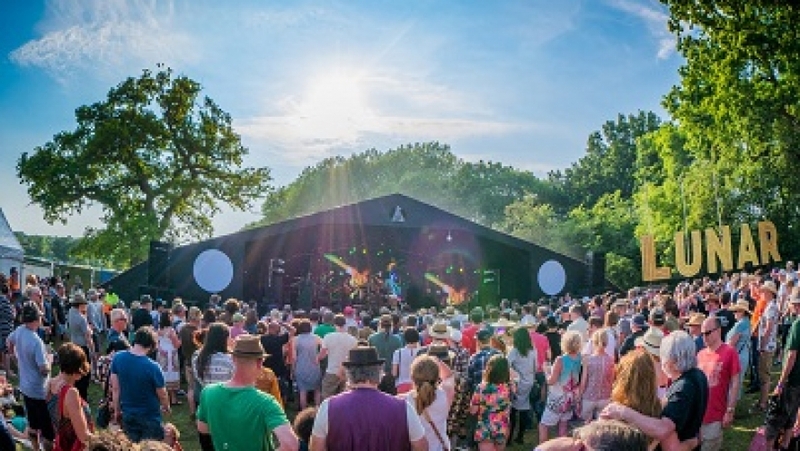 Lunar is a Music and Arts Festival set on the beautiful Umberslade Farm Park in the rolling hills of Warwickshire. Committed to staying small but thinking big, Lunar has families and music lovers at its heart. After taking a break in 2017 to focus on becoming even better than before, Lunar Festival is returning on Fri 27 – Sun 29 Jul. Lunar have shaken things up a little with some higher profile artists, awesome new venues, inspiring exhibitions, thoughtful installations, uplifting processions, plus much more whilst keeping true to the Lunar spirit of years gone by. This year, the Festival will feature Lunar’s 7 Elements – Listen, Learn, Move, Create, Taste, Relax and Laugh – which all add up to an incredible festival experience. These elements cover everything that’s going on at Lunar from the line-up of bands and workshops to food, bars, nightclubs and more. Tickets are available to the public, University staff and students via Warwick Arts Centre Box Office. Friday: Amadou & Mariam, Basement Jaxx (DJ Set), The Go! Team, Boy Azooga, Nabihah Iqbal, 77:78, The Unthanks playing the songs of Molly Drake, Glee Comedy Carousel. Saturday: Goldfrapp, Crazy P (Live), Hookworms, The Heliocentrics, Glee Comedy Carousel, A Guy Called Gerald (Live), Citizen Khan Family Disco, Ed Miliband’s Reasons To Be Cheerful Podcast. Sunday: The Stranglers, Songhoy Blues, Jane Weaver, Damo Suzuki (Can), Park Hotel, Royal Shakespeare Company and National Space Centre workshops. And many more. See the full programme here. For tickets, further information, and terms and conditions click here.